Janine Kinnear is a classically trained pianist from the Ulster College of Music with many years experience performing. 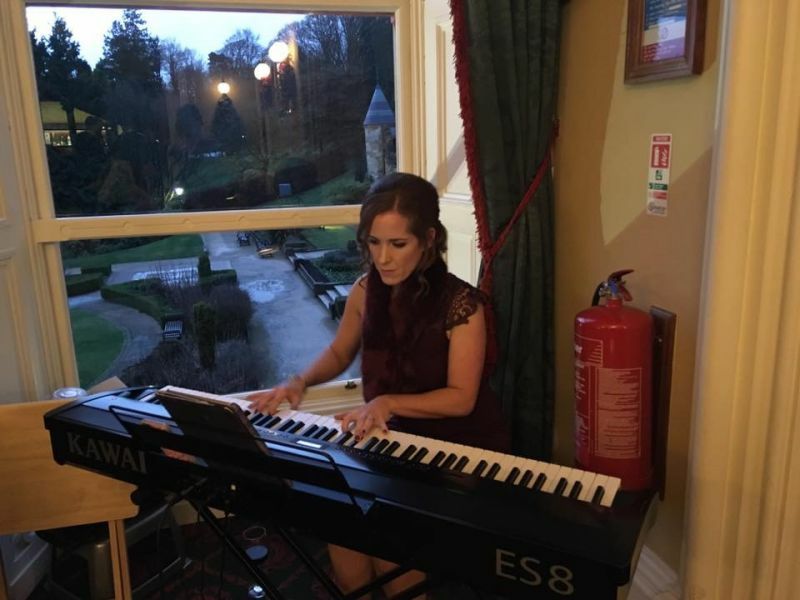 Janine is a wedding and event pianist based in Northern Ireland. She is available to play background instrumental music for your special day - Wedding Ceremony, Pre-dinner drinks, during the wedding breakfast, corporate events and anniversaries. Also available as an accompanist also for singers and can accommodate any special song requests for your special day. Janine is guaranteed to add beautiful ambience to any occasion with her fabulous repertoire of piano interpretations of contemporary pop and old classics.